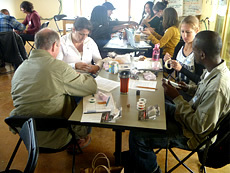 The foundation awarded a grant earlier this year to the Exploratorium’s Teacher Institute to support Currents of Change, a pilot program that will provide training to 100 middle and high school science teachers so they can engage their students in exploring the issues arising from human impact on the environment. The Exploratorium’s Teacher Institute is a program for middle and secondary-school science and math teachers that provides summer classes, Saturday workshops, classroom materials and Web-based teaching resources. 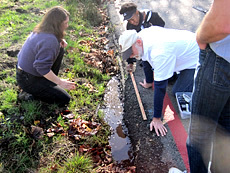 The institute utilizes an inquiry-based approach to teaching and assists teachers in creating classroom and outdoor experiments using common materials to illustrate scientific principles. The Exploratorium was founded in 1969 by Frank Oppenheimer, physicist and educator, and provides many interactive exhibits that demonstrate scientific principles with an emphasis on human perception. In 2013, the museum will relocate to San Francisco’s Embarcadero.